The Utility Economic Development Association (UEDA) is a non-profit international organization of investor owned utility economic development professionals and allies. 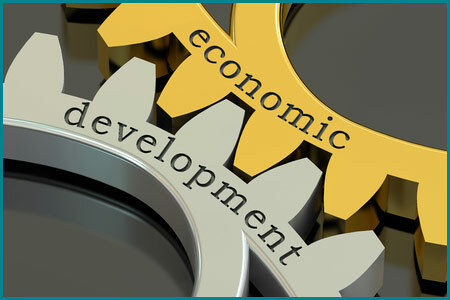 It is dedicated to meeting the unique needs of its members through on-going economic development education and networking programs and also by serving as an information source and a conduit to UEDA members for site selectors. UEDA membership provides valuable benefits. Access to member contacts within your industry, Executive Economic Development Education opportunities, Nationwide Networking and much more! Use our numerous online resources to Electric and Gas Industry organizations. In addition members will also have access to national and international Economic Development partner resources. Copyright © Utility Economic Development Association. All Rights Reserved. filing or other information, contact the UEDA office at (401) 619-5167.